I didn’t know the plot of A Short Period of Exquisite Felicity but from the moment I read its first page I knew I would love it. It turns out this book had all the ingredients I require to be completely immersed in the story: Darcy and Elizabeth love each other but can’t be together which creates the most delicious angst possible, their interactions are romantic and intense but bear that little taste of angst that I can’t resist, their feelings and belief in each other are stout, the secondary characters pull me into the story, the writing is incredibly good and the characters have several layers that make them real and believable. I could go on, but maybe I should tell you a little of the story first. In this book Darcy and Elizabeth get engaged when they meet at Pemberley, but when Jane’s letters arrive announcing Lydia ran off with Wickham, Mr. Darcy isn’t there and not only Elizabeth doesn’t tell him what happen, but breaks off the engagement. The reasons behind this decision are not immediately disclosed and I loved the fact that when we do learn about them, they are not obvious. The book starts at Netherfield, a year after these events take place and where the happily married Jane and Bingley receive several distinguished guests at their home with some matchmaking plans. Two of the guests are Darcy and Elizabeth who had not seen or heard of each other since the broken engagement. From this moment on the reader will go on an emotional roller coaster ride that will not stop until the very last pages. As much as I loved Darcy and Elizabeth in this book there were times when I really wanted to kill the Colonel, spank Georgiana or cheer for Anne de Bourgh which reveals how engaged I was in this story. In fact, the characters are a big part of why I loved this book so much. After reading a couple of books with superficial characters who are merely a caricature of what Austen created, it was refreshing to read something with a true character depth that makes me think and analyse the human behaviour. I may have been influenced by my personal experience with the loss of my own father, but I felt Elizabeth’s internal struggles very real and with a depth I was not expecting to find. Apart from the characters, I enjoyed Darcy and Elizabeth’s relationship which is not only based on an incredible stout love but on trust and friendship making the story even more powerful, and even if the angst was at times almost unbearable, the Darcy/Elizabeth moments are definitely worth it. A Short Period of Exquisite Felicity is gripping, character driven, intense and will for sure be on my 2018 favourites list. There were so many quotes I wanted to take from this book that at a certain point I had to stop doing it or I would not progress in the story. This book is a page turner that I could not stop reading until the very end when Amy D’Orazzio surprised me once more with a very shocking disclosure. I highly recommend it for those who enjoy angsty story and are not afraid to wait for the HEA. 8 eBooks of A Short Period of Exquisite Felicity are being given away by Meryton Press and the giveaway is open to international readers. Readers may enter the drawing by tweeting once each day and by commenting daily on a blog post or review that has a giveaway attached to this tour. Entrants must provide the name of the blog where they commented and are valid until midnight ET on March 8, 2018. Each winner will be randomly selected by Rafflecopter and announced shortly after the deadline. I’m quite intrigued by the premise of this story. Totally intrigued by you wanting to kill the Colonel. Vesper you probably will too!! Really want to read this book now! Thank you Elaine! I hope you like it! I love the cover! So beautiful. Would love to read this book. Thank you Priscilla! I have a really wonderful cover artist! Wonderfully insightful review, Rita! The depth of characterization and rich plot detail in Amy’s books are so rewarding. What a terrific review, Rita!! You really have a way of spinning a story into a must-read moment!! Thanks for your support with this tour. Thank you Claudine! I love this review too! Lovely review, Rita! This book sounds downright delicious. I totally agree with you on this book. Lately I have been re-reading a lot of past favorites on my kindle because the last few buys were “good, just not great.” I read all day in my day job and so I expect much from my pleasure reading. When I heard A D’Orazio was releasing this new novel, I was primed to buy. 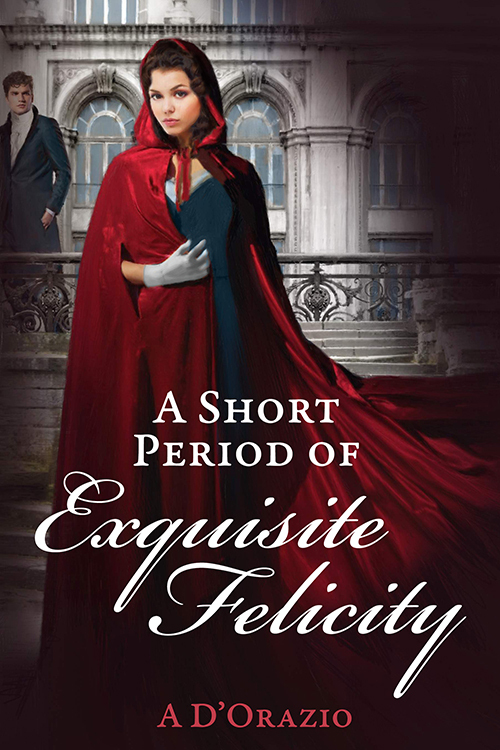 Yup…”A Short Period of Exquisite Felicity” is my very favorite kind of “Pride & Prejudice” reimagining… The kind where Mr Darcy is absolutely and painfully in-love with Miss Elizabeth, and she loves him but has no hope of his love being returned. And lots of wonderful twists and turns until they finally make it to their happily-ever-after that we expect and they deserve. Oh! Delicious angst from page one. And it did not let up. His devotion to her, even through his anger and hurt, was poignant and almost palatable off the page. I think this is the one novel that I didnot like the colonel but then Miss Austen gave us so few clues about him, not even his first name, that I found this spin on his character interesting. I ended up staying up all night to read this and didn’t find sleep until the end of the new day. This is great JAFF! Christina you are wonderful! Thank you! Great review Rita. I agree with you about character driven stories, they are the best. But it’s Amy’s story, so it comes as no surprise. Kate thank you so much! You are very kind! Thank you Kate 🙂 If a story is character driven, it is already bound to be good right? Don’t include me in the give -a-way. I read this while it was still a WIP and when it launched… I bought a copy for my personal library. I had to have it and I wanted to support our author. She deserves all the accolades that are sent her way. I loved it… and it was also 5-stars for me. Congratulations Amy on a successful launch and blog tour. Great review Rita… I agree completely… I was blown away. Thank you for all your support Jeanne! Thank you for the review. I love that you mentioned that it has character depth as I’ve read too many stories lately without that. Thank you! I love creating my characters, they get way too real to me! Wonderful review. You have me so much more excited! Fantastic review of a fantastic book. Thank you Rita, and congratulations Amy! Smooches Jessie and thank you for stopping by the tour! Sounds like yours is like mine, an endlessly growing list! Its a good problem to have! Posted on From Pemberley to Milton. So sorry for your loss, Rita. A lovely review — sounds intriguing — while I agree with you that characters with depth are the most enjoyable to read about, I’m not sure I’d care for a story that makes the Colonel into someone I’d want to kill! 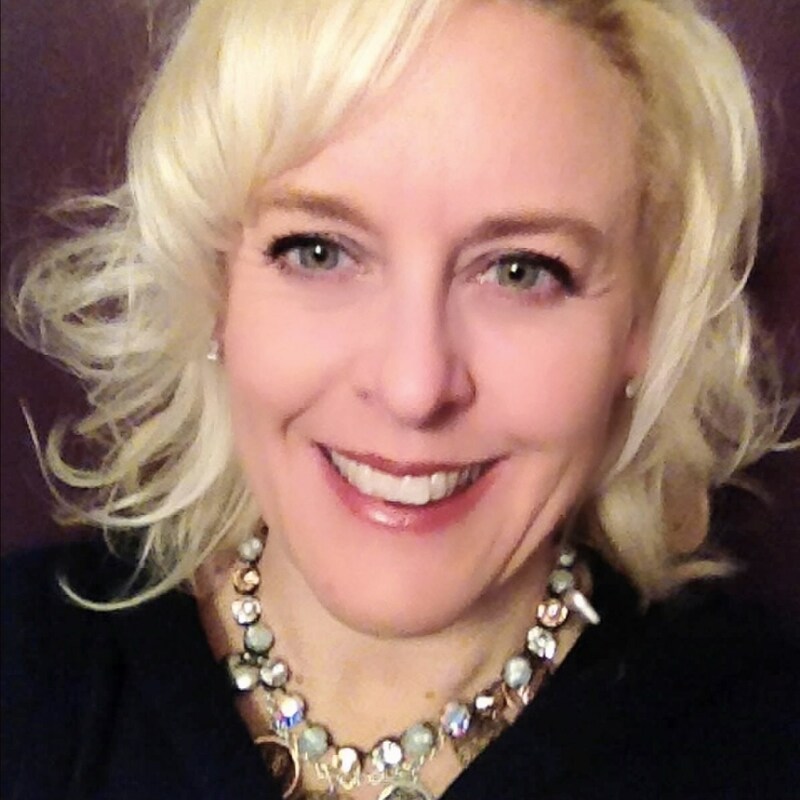 Congrats on your new book, Amy, and many thanks for offering a generous giveaway. Thanks for such a lovely review, Rita. Your comment about wanting “to kill the Colonel, spank Georgiana or cheer for Anne de Bourgh” are not reactions we normally come across to the way these characters are usually written in Austenesque fiction. That has me greatly intrigued! I love Christina Boyd’s comment too – “delicious angst”. I’m all in favour of that! Haha! Anji I love to take JA’s characters to their limits! My interest is piqued. Secondary characters that are essentially a charicature have made me abandon several stories in the past, so this alone is a high recommendation for me. Also I’m ready to cheer for Anne de Bourgh as well. I love to give Anne de Bourgh some time to break out of her shell! Thank you Caracoleta! What a fabulous review Rita! I love your reactions to all the characters…kill the Colonel and spank Georgiana??? Cheering for Anne de Bourgh? Yes, I am looking forward to reading another amazing book by Amy! What a wonderful review!!! Your enthusiasm for this story is infectious and makes me log into Amazon,buy and start reading it straight away!!! I loved The best part of love so I’m looking forward to being transported to a different works when I start this book. Best of luck with it Any! Thanks so much Mary and thanks again to Rita for such an amazing review! Thank you Mary 🙂 I confess I prefer this book to The Best Part of Love and that says a lot. It’s my favourite this year. I hope you share your opinion with me once you read it. Sounds wonderful! It is a different plot. I cannot imagine how devastated Darcy must have been when Elizabeth broke the engagement. Thank you Eva! He was pretty wrecked! 🙂 But no worries, it all gets better! Before reading Janet and Rita’s review, I do not understand why Elizabeth must break her engagement with Mr Darcy. I presume something awful must have happen to make her come to this decision. Even though it is because of Lydia eloping to be with Wickham, there is still an element of surprise that is not revealed yet. For that I will definitely put this book at the top of my list. Great review Rita! This book’s premise is intriguing ! What a great review, Rita! And this book is so totally worth it! Another great book by Amy and a great cover by Zuki! Great review, Rita! I absolutely love Amy’s stories and this one was amazing, although I still have to read the book version. Really excited!! Congrats, Amy! The published version is always better (I hope haha!) Thank you Daniela! Thanks Daniela, I don’t know if the book version is very different from the WIP, but I’m glad Amy decided to publish as I only read published books, and this one is certainly worth it. Congratulations on this newest release. It is on yhe TBR pile. I read this as a WIP and again when it was published. It got a 5 star review from me, also. Congrats on your second book release. I love the unique plot and angst in your writing! It’s definitely s page turner! Thank you for your review! I hope I can read this book soon, from what you say it is surely a 5 stars!